A pint glass tankard that goes down well with golfers! These mouth blown and hand crafted tankards have straight sides, a sturdy handle and a domed golf ball inset into the base. 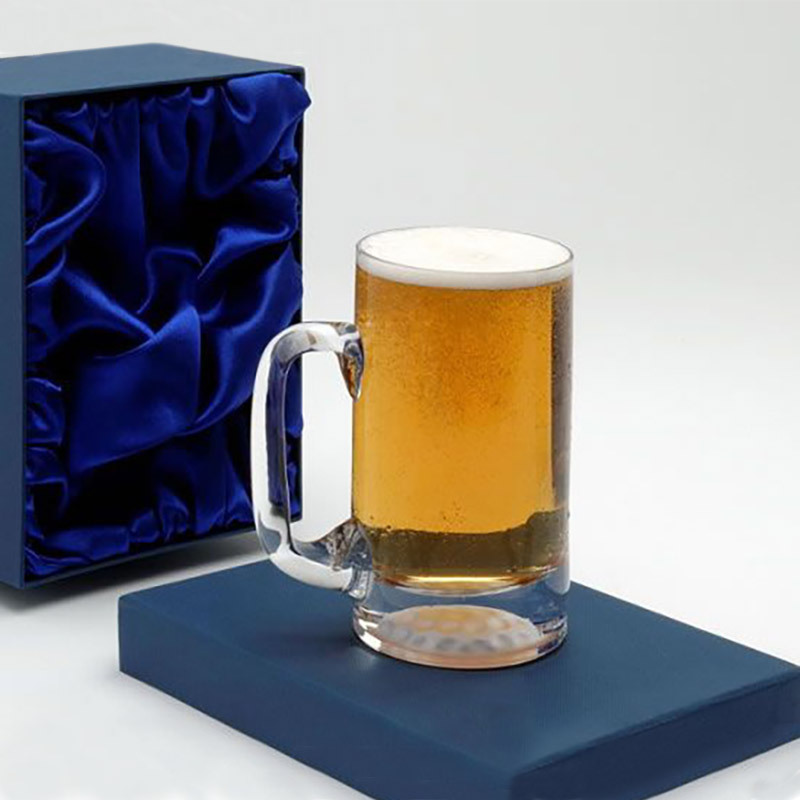 They are ideal engraved as personalised gifts or golf prizes and are offered here with low cost engraving. 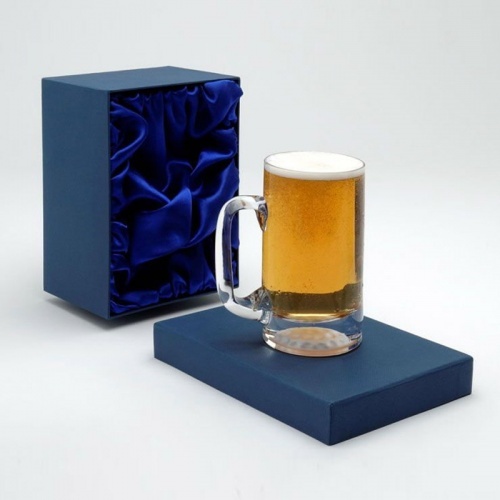 Each tankard is supplied in a deluxe, fully-lined presentation box.